So, I don't know about you, but my holiday spirit is in full swing! 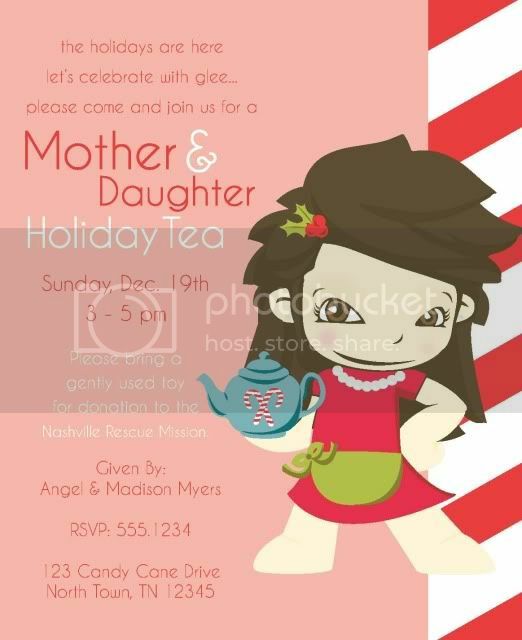 I just made the cutest invitation for a mother daughter christmas tea party...(I've put fake info in for this post to protect their privacy, so sorry you're not invited) but here it is! This is so sweet, the only things missing are the sugar plums and fairies, haha. I hope everyone had a blessed Thanksgiving and is gettin' into the giving of this holiday season! Cheers to you all!